The California Promise Program enables a specific number of campuses of the California State University (CSU) to establish pledge programs for entering freshmen who are both interested and able to complete baccalaureate degrees in four years. Many campuses have also established programs for students with Associate Degrees for Transfer from any California Community College to complete their baccalaureate degrees in two years. In either case, the program is limited to students who are residents of California. Students who commit to enter either the four-year or two-year pledge program will be given a priority registration appointment for each state-supported enrollment period and will be provided with routine and thorough academic advisement. Senate Bill No. 412, which establishes the California Promise program, specifies that "a student shall not receive priority registration in coursework under the program if he or she qualifies for priority registration under another policy or program, as determined by the campus.” At Cal Poly, priority registration is determined by a student’s academic progress level, i.e. percentage of completed degree-applicable units. Participating campuses may stipulate other important requirements as well (see below). Interested students should contact the university’s California Promise advisor, Gina Salazar (glsalaza@calpoly.edu), in the Mustang Success Center. Cal Poly has established a pilot pledge program for students with Associate Degrees for Transfer to complete their baccalaureate degrees in two years. The Bachelor of Arts in English is the only major available at this time. Students must be California residents. Students must satisfy the Transfer Selection Criteria for their intended major. Students must commit to completing at least 45 quarter units per academic year, using the pledge agreement provided by the California Promise advisor. Summer quarter may count toward their first or second year. 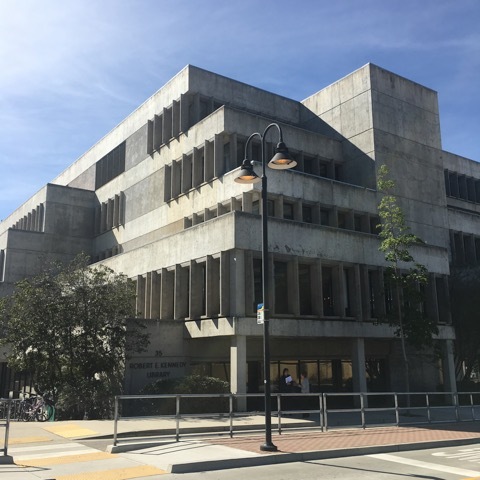 Students who transfer to Cal Poly with more than 90 degree-applicable quarter units or their semester equivalent may make take fewer than 45 units per year as long as they can complete their degree program within two years. Student must meet initially with the California Promise advisor in the Mustang Success Center. Students must submit a two-year educational plan on PolyPlanner, an online tool that allows students to communicate their course needs to the academic departments. See Welcome to PolyPlanner for more information. Students must have their two-year plan approved by their academic advisor in the department or college. Students may pursue a minor if it is an approved part of their two-year plan. Students who fail to meet the above requirements will not be allowed to enter the pledge program. Students must remain in the major they declared at the time of their admission to Cal Poly. Students must complete at least 45 degree-applicable quarter units in their first academic year or demonstrate their ability to graduate by the end of their second year. Students must maintain at least a 2.0 grade point average in their term grade point average or their Cal Poly cumulative grade point average. Each quarter, students must meet with their academic adviser. Each quarter, students must update their educational plan on PolyPlanner and have the plan approved by their academic advisor. Students must enroll in classes during the established priority registration period as determined by their academic progress level, i.e., their percentage of completed degree-applicable units. See Enrollment Appointments for more information. Student must pay all their fees by the required deadlines. Students who fail to meet any of the above requirements will not be allowed to continue in the pledge program. The Cal Poly English Department provides an inclusive learning environment to promote the study of language, literatures, and rhetorics in diverse contexts. We are committed to fostering a respect for difference within our curriculum, our scholarship, and our community. Our undergraduate and graduate students learn to read carefully and deeply; to think critically and creatively; to write clearly, persuasively, and ethically; and to understand how power structures and cultural practices shape the production and reception of texts. Our faculty offer courses in literature, creative writing, composition and rhetoric, technical and professional communication, linguistics, film, English education, as well as theory and criticism. Our interdisciplinary approach provides a rich foundation in English Studies for our majors, our graduate students, and General Education students. The Bachelor of Arts in English curriculum for new transfer students begins a core series of transatlantic literature courses designed to introduce majors to the literary histories of Britain and America. Additionally, students take upper-division courses and seminars in the major, and have the ability to take advanced classes in creative writing, composition and rhetoric, technical and professional communications, linguistics, and English education. The senior project course for English majors allows them to design and create their own capstone experience, working one-on-one with a faculty member in the field.